and featuring Jackie Henderson on vocals. 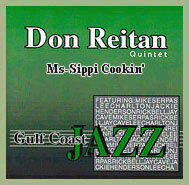 "Serpas ... soars on the up-tempo Out & Out and is outstanding on loping, down-home renditions of Somebody Loves Me and Shoo Fly Pie and Apple Pan Dowdy ..."
"...if Bix had lived to play modern jazz, on a good day he would have sounded like this." "... the music flows from his piano like a rippling stream, clean, bright and breathtakingly beautiful." 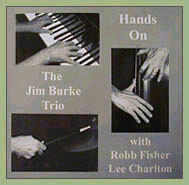 "Hands On is piano trio playing at its finest... ."
This page was last revised on 02/17/04.